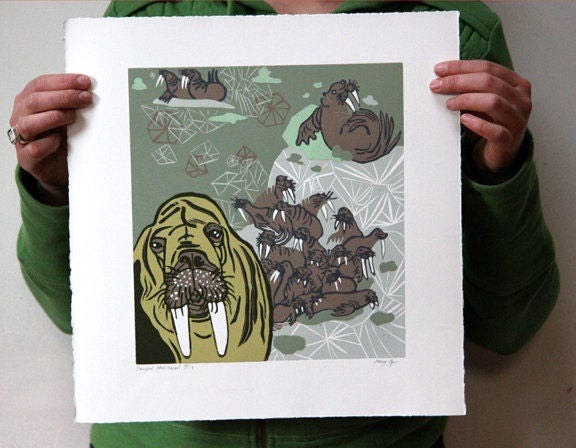 This original hand-pulled color-reduction woodcut features a pile of walrus and some cracked sea ice. 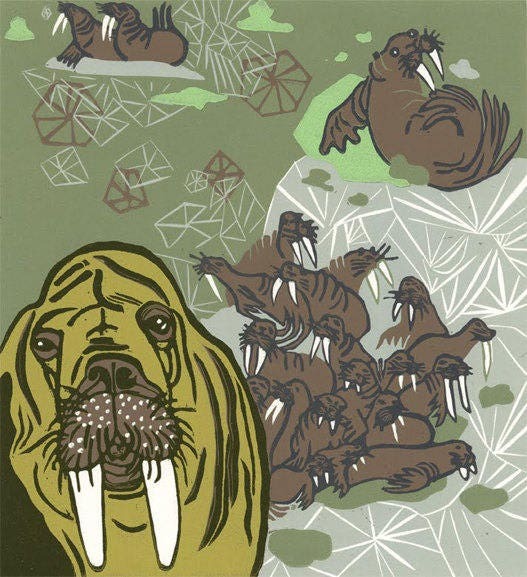 The title is "Pinniped Predicament"
Walrus use ice as a resting site when out to sea searching for prey and as a safe haven to raise pups, far away from the threat of polar bears and people. If the ice disappears, their safety is in danger. All animals that depend on sea ice find themselves in a bit of a "predicament." 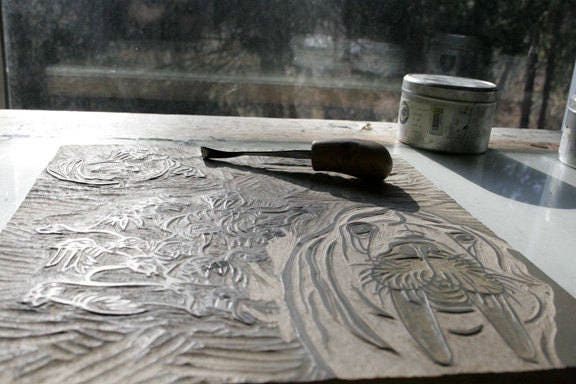 This woodcut will come in an archival bag securely rolled in a tube.